Iguanodon fossils, although rare, do sometimes get found in southern England, places such as East Sussex and the Isle of Wight for example, but to have an Iguanodontid vertebra turn up in a garden 300 miles further north from where most of the UK Iguanodontid fossils come from is bizarre. The fossilised bone about the size of a football has been identified as belonging to an Early Cretaceous Ornithopod Dinosaur – an Iguanodontid, but the single bone and its unusual location makes it very difficult to tie down to a specific genus. The pensioner, who wishes to remain anonymous took the specimen to a local museum, where experts confirmed it was a dinosaur bone. Staff at the Natural History Museum (London) have confirmed this and concluded that the bone probably came from a large Iguanodon, a herbivorous dinosaur from the Early Cretaceous. How the bone came to be in Sunderland remains a mystery. The underlying strata is much older than rocks which contain dinosaur bones this means the bone must have been deposited there later on. Many of the Iguanodontid fossils unearthed in the UK were found in the East Sussex area, more than 300 miles to the south of Sunderland. They lived 130-115 million years ago, at a time when southern England was a warm, lush tropical paradise in which dinosaurs and Pterosaurs flourished. 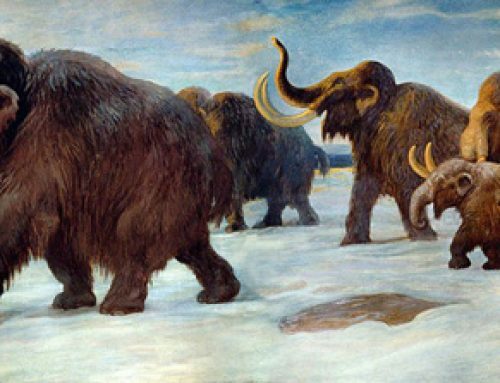 Experts will never know how the bone made it to Wearside , but glacial disturbance or human interference were considered most likely. Rocks could have been transported by glacial action and re-deposited or perhaps this specimen was found in southern England and brought up north by an amateur fossil hunter. Most of the underlying strata in the Wearside area dates from the Late Palaeozoic era, being composed of mainly limestones, mudstones and sandstones dating from the Permian period. There is a small band of Permian rocks which run roughly in a line from Nottingham in the East Midlands, northwards to the city of Sunderland before disappearing out under the North Sea, these rocks are largely devoid of fossils. Team members at Everything Dinosaur have heard of dinosaur bones turning up in some very unusual places, one staff member literally tripped over a number of caudal vertebrae belonging to an Edmontosaurus when inspecting a motocross trackway in Alberta – you just never know what might turn up. However, to find a dinosaur fossil bone in a garden in Sunderland must go down as one of the more bizarre locations to find the remains of a dinosaur.